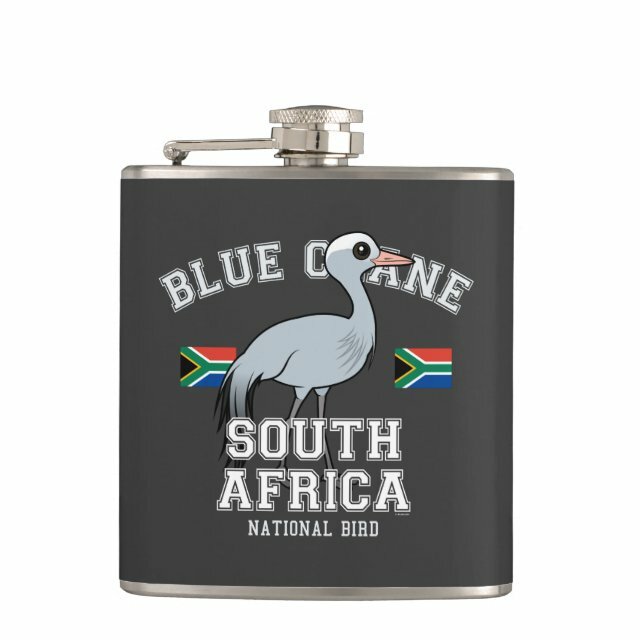 Blue Crane of South Africa Vinyl Wrapped Flask, 6 oz. This cute original design from Birdorable features our cartoon Blue Crane. The species is the official bird of South Africa. The bird is shown here in a collegiate-style design with the flag of South Africa.